Happy New Year to you all! I hope you had a fantastic Christmas and New Year and enjoyed the time off with your family and friends. 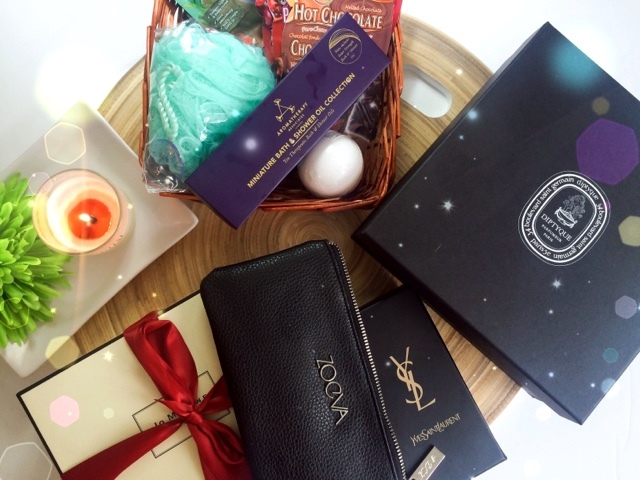 I've had a little break from blogging over the festive period, but now I'm back and sharing with you some of the beauty treats Santa bought me this Christmas. I love this scent from Jo Malone and was getting dangerously low with it being my go-to winter fragrance. I was over the moon to get this gift set again which I was luckily enough to receive last Christmas. The set contains the Pomegranate Noir perfume in 30ml, and the matching shower gel and body lotion which, like the fragrance smell absolutely divine. This my first Diptyque fragrance. I have tried their candles and bath products but never somehow got around to trying their perfumes. I actually asked for this as I thought it was about time I saw what all the fuss was about. The scent I went for was Volutes - a musky spicy blend that on first inspection I love but will keep you updated in a full review in a couple of weeks. I love these after trying them for the first time early last year. I previously had the travel sizes before and only recently ran out, so these were welcomed with open arms and swiftly popped into my bathroom to be used. I was very lucky to receive this, and it's my first YSL lipstick! The colour is a deep blackened plum which is absolutely stunning and matches the gorgeous gold packing perfectly *insert heart faced emoji here*. Zoeva Complete Eye Brush Set. I love Zoeva brushes, they are easily my favourite and most used brushes as part of my everyday make up routine. I have a few of their brushes in my collection but needed some more eye shadow brushes. 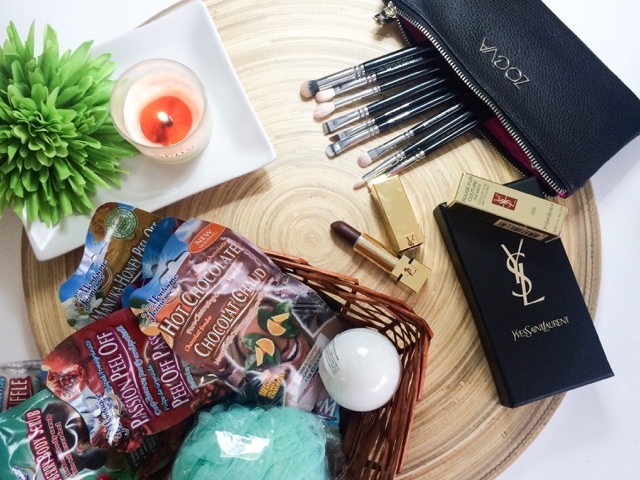 The set contains everything you need to create a variety of make up looks and the soft bristles make them a pleasure to use, all enclosed in a cute travel friendly makeup bag. Along with these fantastic gifts I also received some vouchers and some much needed Muji storage, which isn't photographed as it's now housing my ever expanding makeup collection lol. What lovely gifts did you receive this Christmas? Zoeva brushes are amazing, im so happy to have finally got my hands on some! Loving the YSL lipstick - I bet that she looks lovely on you too! I need to get y hands on some Zoeva brushes! Sounds like you had a lovely Xmas! Tempted to try the Zooeva brushes, are they good? Ooh, lovely gifts! That Diptique perfume sounds amazing! 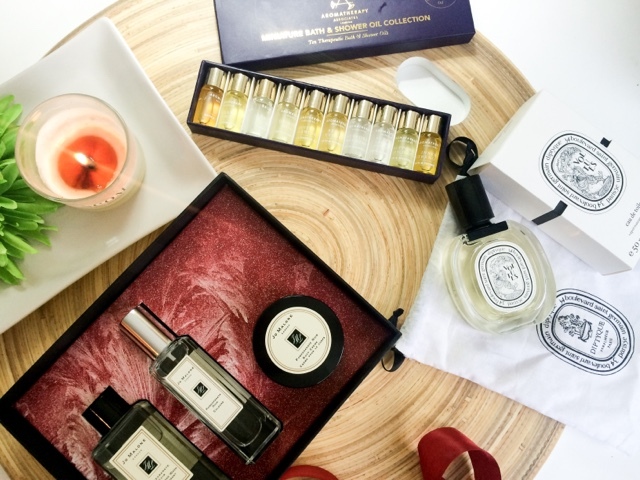 I love the look of the Jo Malone set in particular! !